DMV.com serves to help you with all your Florida DMV-related needs. By using the tools and FL DMV information we provide, you will feel confident and prepared for your next visit to your local DMV in Florida. We are your comprehensive source for FLHSMV information about all things regarding your driver’s license, including applying for a new FL driver’s license, renewing or replacing a driver’s license and updating your information. DMV.com’s Florida DMV education center also offers assistance to drivers looking for driver’s ed courses, as well as those who are seeking to improve their skills with DMV practice tests and traffic school. We also offer additional FLHSMV services online, such as ordering a driving record, obtaining vehicle history reports and more FL DMV services. For a full list of all of our Florida Department of Motor Vehicles services, continue reading below. A valid Florida drivers license is required for resident drivers. Learn FLHSMV procedures for drivers license renewal, replacement and more. Order a FL driving record online to get your DMV driving history without a hassle. Requesting driving records online lets you avoid the DMV. The FLHSMV requires auto insurance coverage for all registered vehicles. Use our online auto insurance center to get low cost car insurance. Enroll in a Florida driver improvement course. Passing FLHSMV-approved traffic school lets you dismiss tickets or fulfill court orders. Applicants must know the Florida DMV Drivers Handbook to pass a license exam. Take a DMV practice exam to test your driving knowledge. 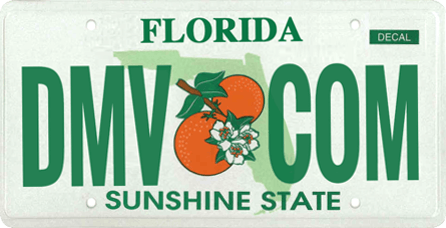 Learn about FLHSMV car registration services and rules. See how to renew car registration online, change a registration address and more. Completing drivers education is mandatory for first-time drivers in FL. Take FLHSMV-approved online drivers ed for a convenient experience. A car bill of sale is a receipt for changing car ownership. Learn how to get a bill of sale from the FL DMV after buying or selling a car. Drivers must respond to Florida traffic tickets to avoid DMV penalties. Learn how to pay traffic fines online and how to fight tickets. A Florida DUI conviction results in automatic license revocation. Learn about other DUI consequences and DUI laws enforced by the FLHSMV. If you plan to buy a used car or new car in FL, we have resources to help. Buying a car online makes it easy to satisfy FLHSMV requirements. Florida drivers can access DMV services at DMV locations throughout the state. Find the closest FLHSMV office in your area. Don’t waste your time at a Florida DMV/DHSMV office. At DMV.com our mission is to save you time and headaches with easy guides, articles and online resources to get you on the road. At DMV.com our mission is to save you time and headaches with easy guides, articles and online resources to get you on the road. Instead of wasting your time at a Florida Department of Highway Safety and Motor Vehicles office you can get what you need online. Each of our resources and guides is well researched and written – we do the work so that you don’t have to. We cover topics including driving licenses, vehicle registrations, auto insurance, driver records and all the other things you normally bring you to the DMV. Since DMV.com is a third party website that is not affiliated with the Florida government we can cut out the bureaucracy and make things simple and headache free. This site is full of helpful information and we encourage all our users to take part: Contribute and comment on our pages or to our Facebook account. We love to hear from you.